Rajib Basu Mallick is currently the Ralph White Family Distinguished Professor of Civil and Environmental Engineering at WPI. He graduated from Jadavpur University, India, in 1989 and received his master’s degree and PhD from Auburn University, USA. He also worked as a senior research associate at the National Center for Asphalt Technology, USA. Rajib’s main research interests are in the optimum utilization of natural resources and sustainable construction, specifically related to the pavement industry. His work focuses on recycling of asphalt pavements, understanding and modeling the behavior of recycled materials, reducing the urban heat island effect, harvesting energy from pavements, understanding temperature profiles, and reducing temperatures in pavement layers. 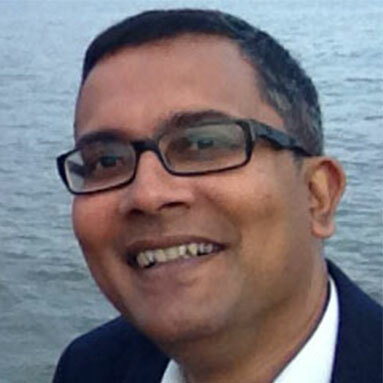 Rajib has close to 100 publications, including a textbook, and also a U.S. patent. He has conducted numerous research projects and has consulted in the area of both highway and airport pavements. He is a registered Professional Engineer in the state of Massachusetts, and a Fellow of the American Society of Civil Engineers (ASCE). WPI’s Pavement Research Lab is featured in WCVB’s Cutting Edge Segment. Reporter Mike Wankum, takes a look at what researchers are doing to find a better, stronger mix of pavement materials to stand up to the environment and heavy truck loads.